Hey howdy hey, TAY folks! Since Zarnyx is shirking her responsibilities, and asked me to help cover her usual Wednesday post... here I am! It’s been a while since I’ve done one of these Open Forums, so here’s hoping it all goes well. As I’m sure many of you are aware - a new Smash Bros. has officially been announced. And it’s ULTIMATE, baby! All the fighters. All the stages. All the controllers. All the salt that your friend Scott destroyed you again. It’s going to be an absolutely enormous game, from what we’ve seen so far. So, the main question for today is... what series would you like to see get the ULTIMATE treatment? This might mean every character and mode, or maybe just a collection of all the games in a single series remastered. Warioware Gold is kinda pulling this move with the “best” microgames and such from past entries. What gaming company “won” E3 in your opinion? 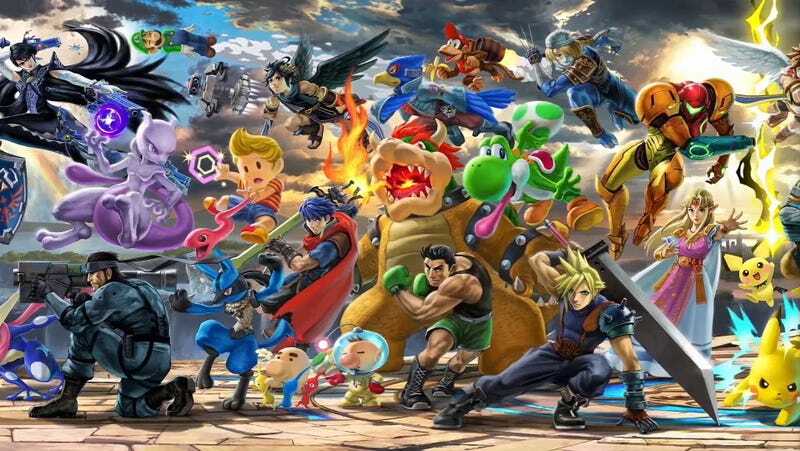 Who do you want to see added to the 65+ Smash roster? How come Waluigi didn’t make the cut??? What game are you most excited for in the next few month? For your listening pleasure, a track my favorite game of 2018 so far.